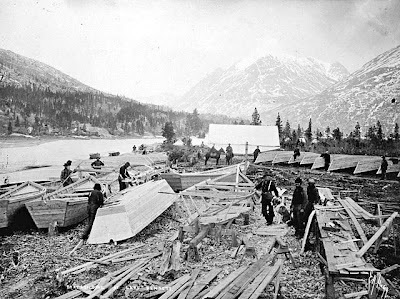 Mr. Gray was born in England in 1855 and came to Lake Bennett from Victoria where his wife was living. 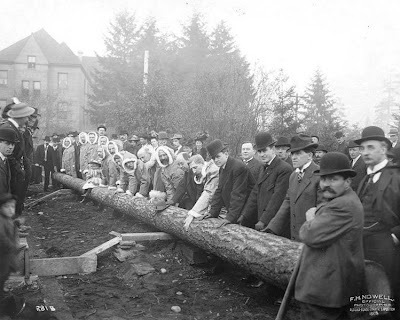 He was working on the sawmill when he had an accident, on this day, November 29, 1899 and died. 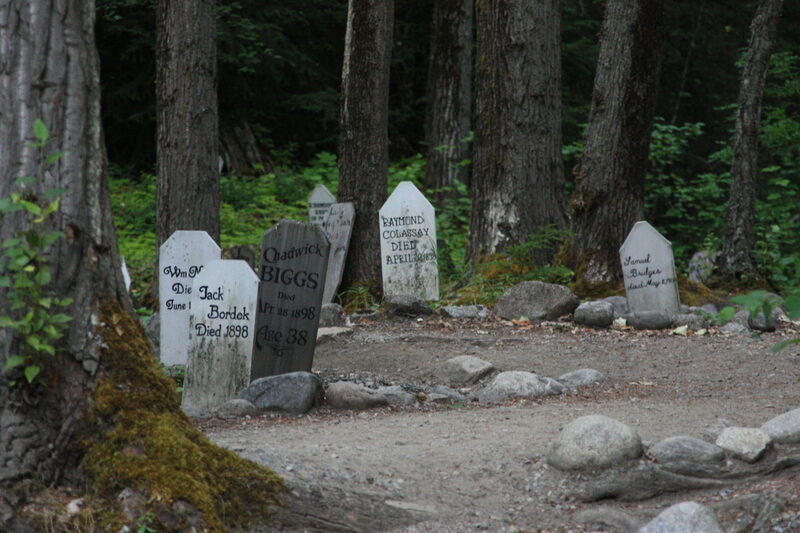 His body was shipped back to Victoria and he lies with so many other gold rush unfortunates at the Ross Bay Cemetery. Received this update on my previous post about William G. Martin and the lynching at Lake Bennett. “In regards to William G. Martin, as big a fan I am of Bill Hunt’s, I’d have to say that it is he who is doing the imagining concerning Martin’s lynching at Lake Bennett, since he offers no references. Basically, it is just his opinion that the Martin episode never took place. But quite a lot of evidence suggests it did. First off, Hal Hoffman was an experienced reporter who was assigned to the Klondike rush by the San Francisco Call. He hiked both the Chilkoot and White Pass trails in the summer of 1897 and reported from Juneau during the winter of 1897-98. I have followed his reporting closely and I see no reason why he would exaggerate this particular story. Hoffman’s story about Martin was also collaborated by another reporter. An “H.L.M.” described the lynching in detail for the New York Tribune, and the story was carried in quite a few other newspapers. The easiest place to read it would be in a paper called the New Zealand Tablet. Google “William G. Martin Klondike” and the Tablet article appears on the first page. One final piece of evidence that Martin was actually lynched. A George Martin from Missouri wrote a letter to the the St. Louis Republic on August 25th from Dyea, just days before the alleged lynching. Martin’s letter was published in the September 22, 1897 edition of the Republic, and it seems likely to me that this George Martin and William G. Martin were one and the same. Nothing is ever certain in history, but when you have several contemporary accounts indicating an event happened, and one lone voice a hundred years later saying it didn’t, I’m going to have to favor the former. Having looked into it further I found reference to an obituary in a Missouri newspaper: (SHELBY DEMOCRAT Thursday September 16, 1897 Page 2 column 9) so I would have to agree, that we refute the refutation of Bill Hunt!!! According to a family posting on Rootsweb, William Green Martin was born 1856 in Liberty Township, Shelby, Indiana to William W. Martin (born NC) and Cloe or Chola Ensminger (born IN). His nickname was Gid Martin. He had three older sisters, Amanda, Martha and Mary. Good sleuthing Mark! 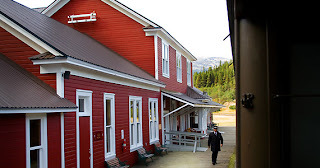 Honorary membership in the Skagway Historical Society granted on this day! Lake Bennett seen above with the boat building in full swing. 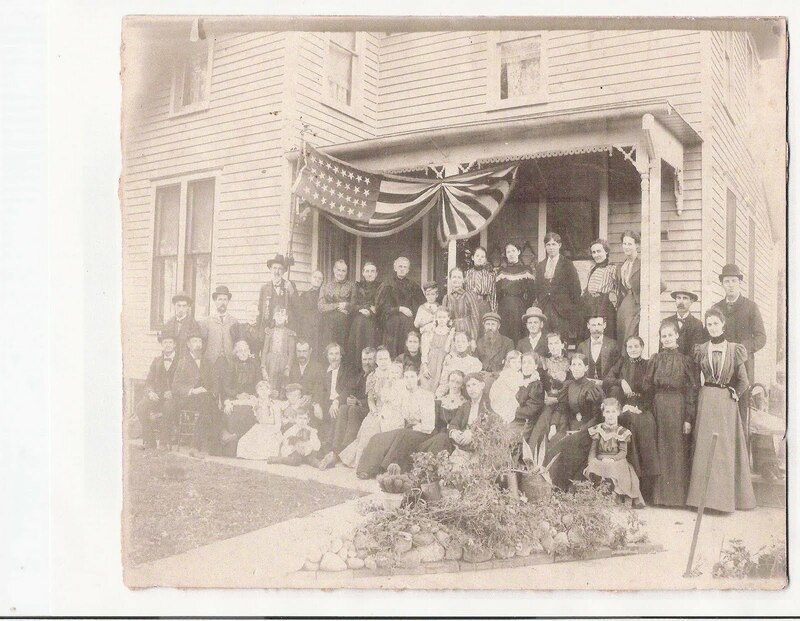 This photo was taken around 1898 in Owaneco Illinois. It is of the Johnson clan in front of a house (which still stands) there across from the cemetery. The handsome fellow on the far right with the bowler hat is my husband’s great grandfather, William “Honest Will” McCluskey with his bride in front of him, Mary Martin (nee Nichol) McCluskey. A few years after this photo, the McCluskeys moved to Arizona to grow cotton but were caught up in bank defaults and lost everything. Their sons stayed in the Mesa area and married the Goodwins who owned trading posts and movie theatres. A few years ago I went to Owaneco and found the cemetery where Reed’s gggrandmother and uncles are buried. It was a beautiful little cemetery with nice stone markers. You learn so much from markers, very often the transcriptions leave off important details. The Christian County Historical Society in Taylorville had lots of really good documents also, most of which have not been scanned or transcribed. So what does this have to do with Skagway and the Gold Rush. Well nothing really, but I’m still searching for a link! Let me know if you have one! Happy Thanksgiving. 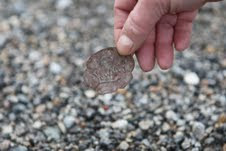 A couple of years ago my son found this odd little piece of metal in the dirt in the alley. I’ve had it stuck by tape on my desk since then thinking I would research it one of these days. Anyway, this summer we finally did a search and found that it is actually the flattened bowl of a Lowney’s bon bon spoon. Lowney’s made delicious chocolates and candy in the late 1800’s. They had their own buildings at both the Chicago (1893) and Buffalo (1901) World’s Fairs. Some people collect their memorabilia, but I wonder what the bon bons tasted like! Did someone buy them at Mrs. Rapuzzi’s Washington fruit and candy store? 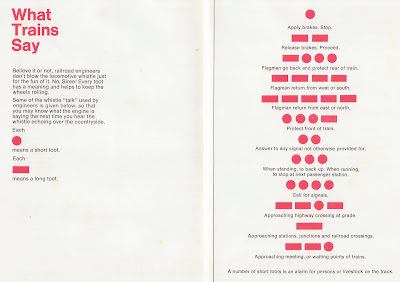 On my travels I picked up a great little brochure in an antique store which lists all the “Railroad Slang” and the meaning of the train horn toots. I will post some of those. Red Onion in railroad terms means a railroad eating house. Who knew? Seen above is the Bennett Station eating house. 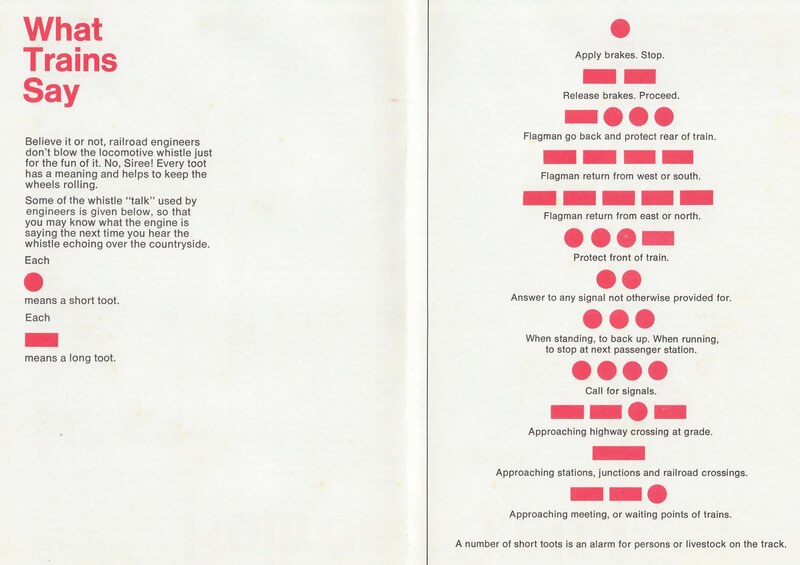 “What Trains Say” by the Association of American Railroads. Alice was born in September 1897 and died on this day November 16, 1898 and is buried in the vicinity of the Slide Cemetery with a large marble marker. She was only a year and two months old. 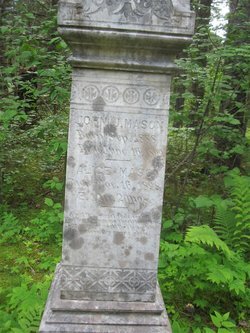 The marker also is for presumably her 11 year old brother, John J. Mason who died the following June. Although there are other Native Masons buried nearby, there is no record of their family. Seen above is the marker, courtesy of Mike from findagrave.com. Although this appeared in the Seattle papers in November 1899, it is dubious in my opinion that it happened in Skagway or the Yukon because it is a year after the gold rush at a time when businesses and roadhouses had been set up. Further there is no record on this day of Mr. Daly or two Frenchmen dying here. 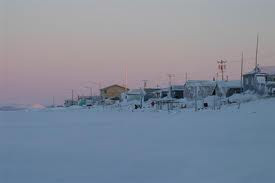 The photo above is of Kotzebue in winter-I think I will go get a hot cocoa now. Jenjiro Ikuta was the adopted son of the Keeler family here in Skagway in 1900. Frank Truman Keeler was a wealthy man in Skagway – a moneylender, optician, jeweler and landlord of brothels on 7th Avenue. Jenjiro was born on this day, November 14, 1881 or 1883 in Japan but said that he came to Skagway from Oakland, California in the gold rush. He may have come to Skagway with family who died, but who knows. Anyway, he learned jewelery from Frank Keeler and started his own store, Totem Jewelery which was here until about 1920. He married Lena Estella Worth from Michigan and they had three kids, Carol a son born 1918, Edna a daughter born 1910, and Truman a son born 1915. In 1920 Jenjiro and his son Truman decided to go back to Japan while Lena took Carol and Edna to Oregon. (Both Truman and Carol married and their descendents have posted most of this information on genforum and rootsweb). Lena remarried and later died in Kennewick, Washington. Perhaps Jenjiro stayed in Japan, as no one seems to know and their are no records of him back in the states. When I was down south we went to a funeral service for my father in law, Bill McCluskey, who went to Japan right after the war ended. The story was told that when he was on a train he found a child curled up in a pile of rags. He asked where the parents were and was told by the train personnel that he was an orphan. So Bill “adopted” him for a year and fed and paid for him to go to school. At the end of his service time in Japan, he collected money for little “Jenji” to continue in school. He never was able to reconnect with him. I wonder how many times he wished he could have found out what happened to little Jenji!